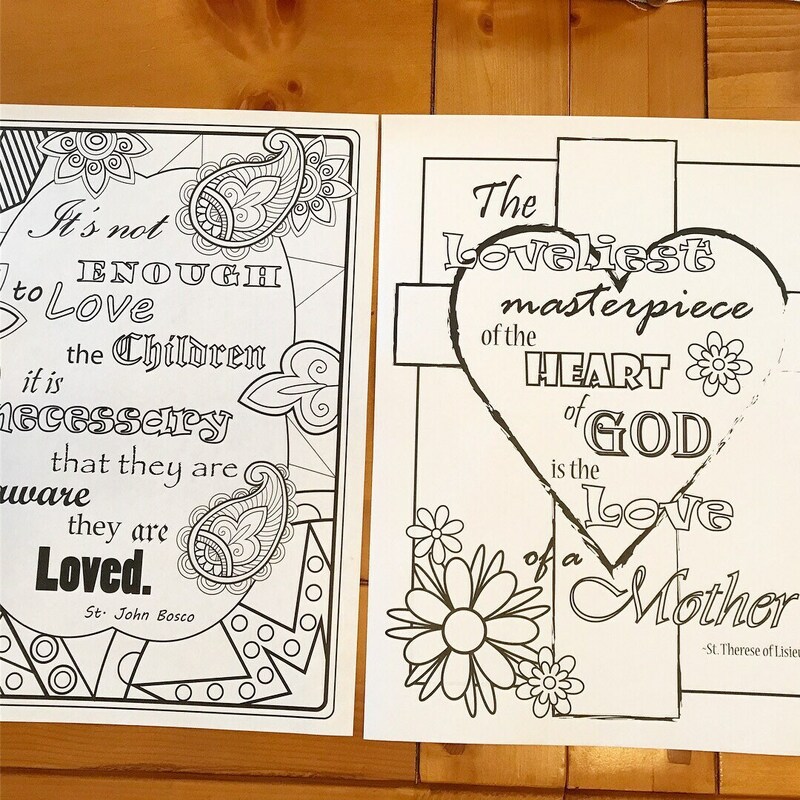 Coloring Book for Mothers, Adult Coloring Book, Inspirational Coloring Page, Saint Quotes, Printable Coloring Pages, Mothers Inspirational. 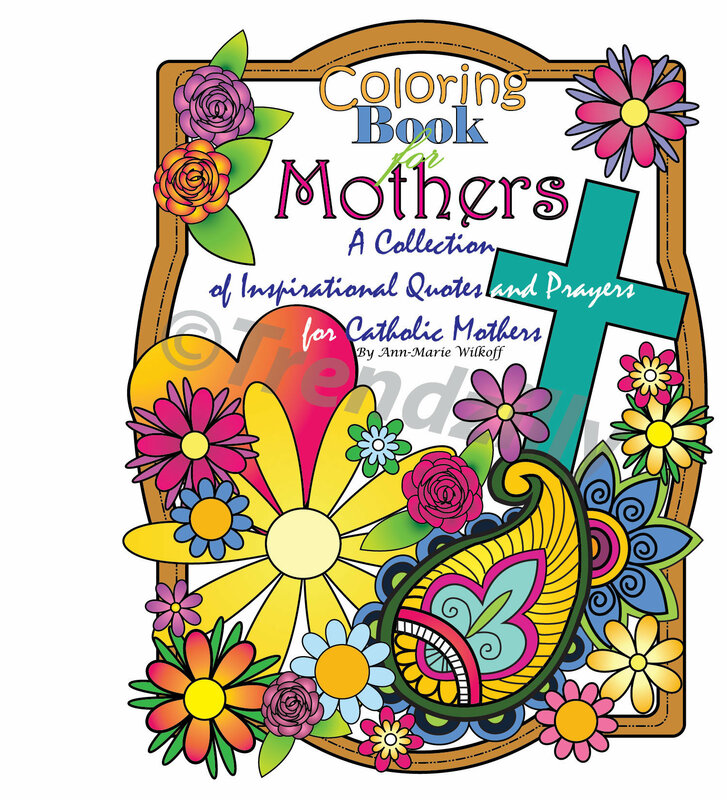 Coloring Book For Catholic Mothers. 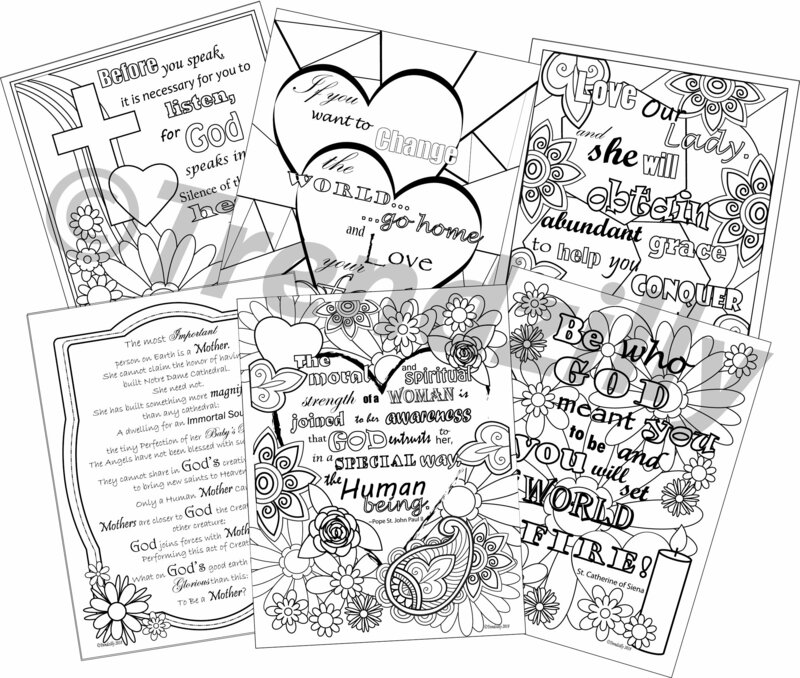 These adult coloring pages are a collection of inspirational quotes and prayers of the Saints put together with mothers in mind to encourage and rejuvenate. Perfect for daily prayer and reflection. 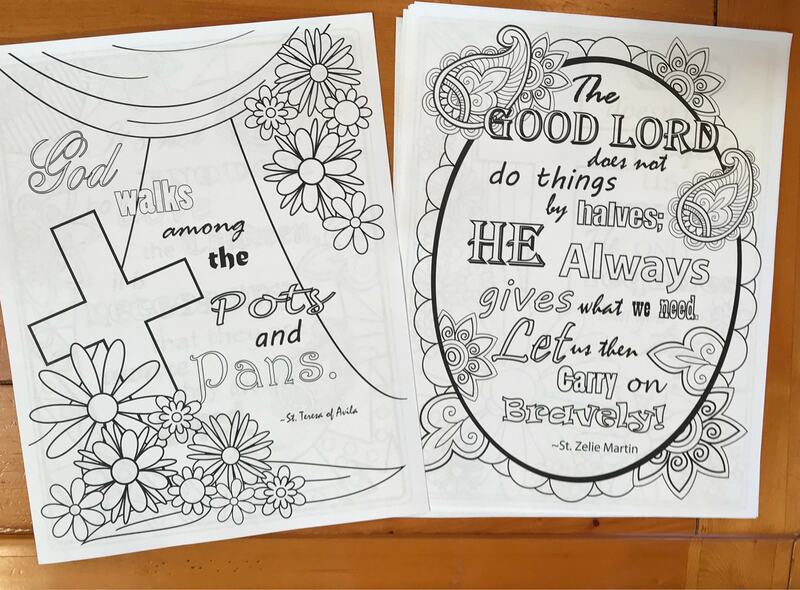 These pages would be great to frame after coloring. 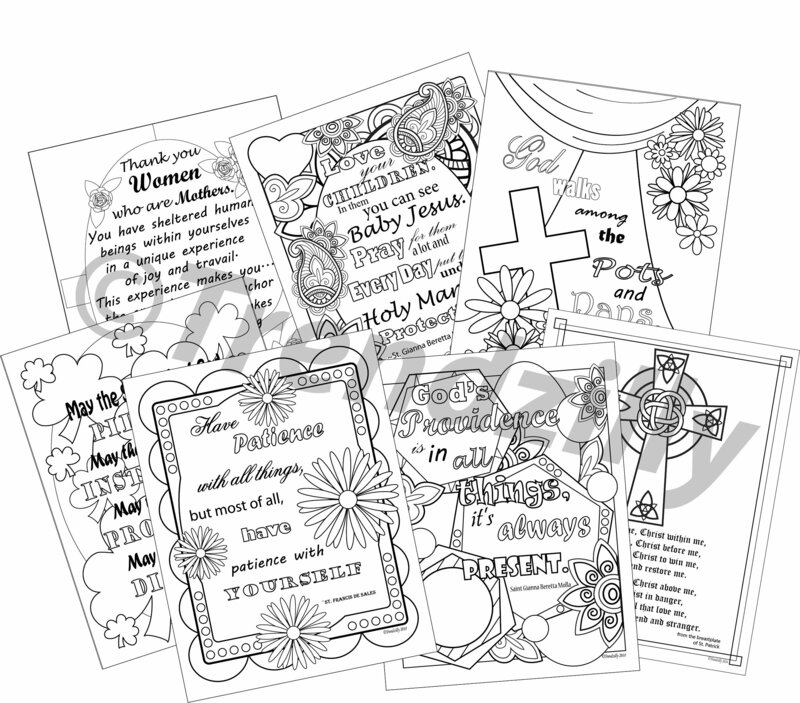 Print on cardstock for use with markers and watercolors. 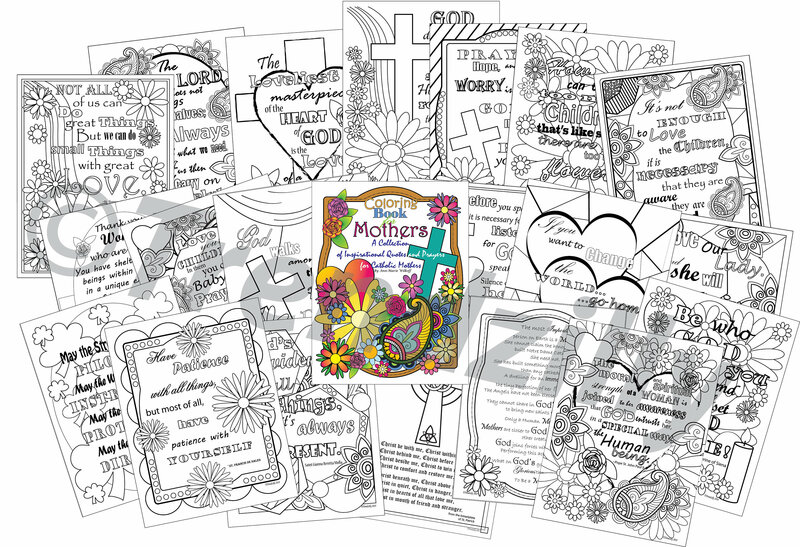 Buy for yourself your as a gift for a special mom in your life. 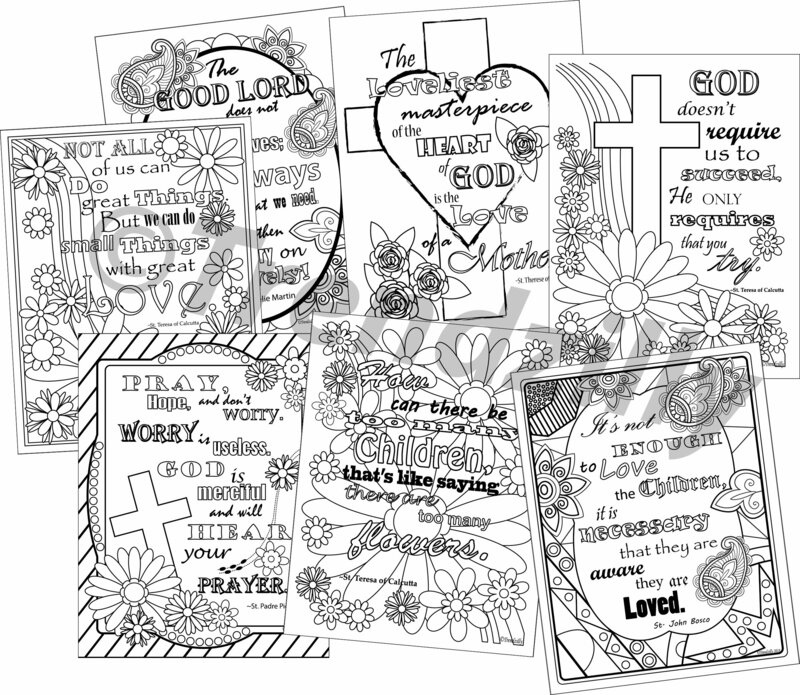 20 coloring pages in all. 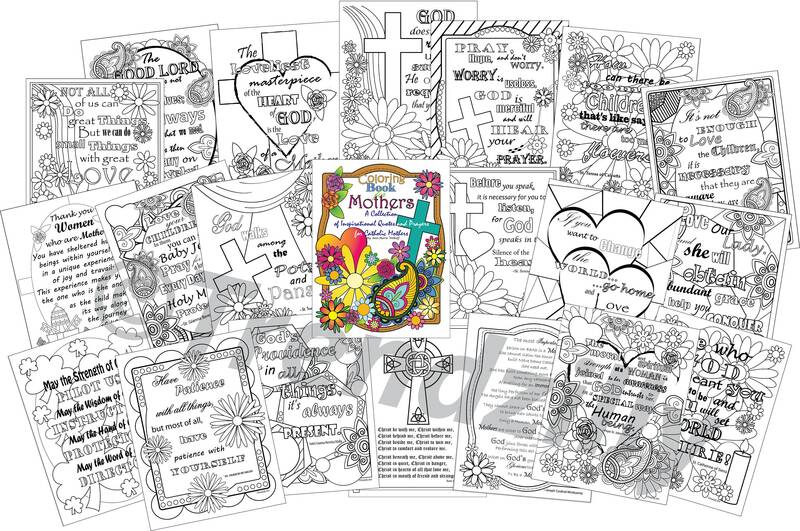 Pages are fill page 8 1/2" x 11"
Would make a perfect gift for Mother's Day, Birthday or any special occasion for mom. File will be available for download in your purchases after payment is confirmed. *Please Note: This item is a Printable Download, you will need to print this item. ***Downloads are for personal use only! Can not be sold or used in any way other than the intended use without permission.